Free Teacher Business Card template for Photoshop is a creative business card design for teachers and professors that can be used for networking purposes at University or educational events. 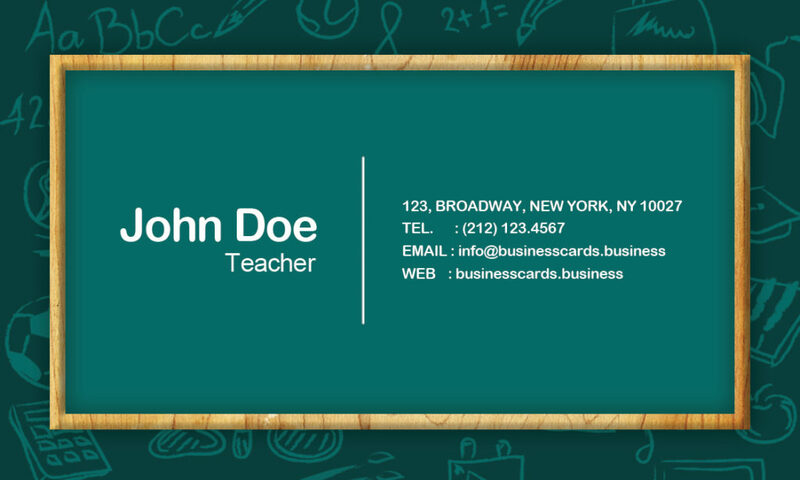 Free Teacher Business Card Template is available as a PSD Photoshop file. 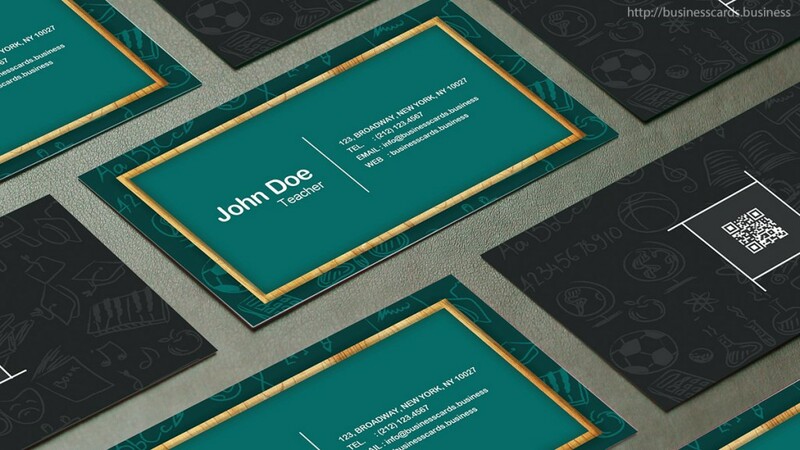 The business card design has a gold frame and green background. 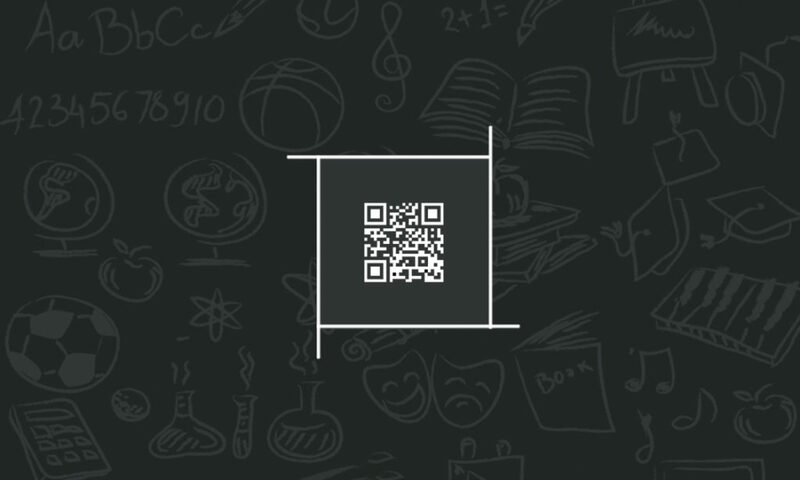 There is space to add the teacher name at the left and in the background of the business card you can place a QR Code with your vCard.